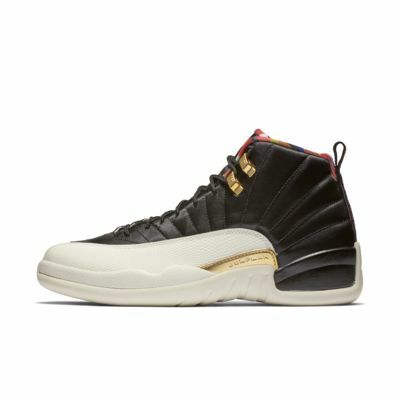 An all-time favorite among players and sneakerheads, the Air Jordan 12 Retro CNY is made with premium and synthetic leathers. A full-length carbon fiber shank enhances responsiveness, while the toe-to-heel Air-Sole unit cushions your step. Textile, leather and synthetic upper with overlays throughout for durability. Iconic Air Jordan 12 styling features details celebrating Chinese New Year.